PROTEC POLICE PATROL HOLDALL - Best Price! 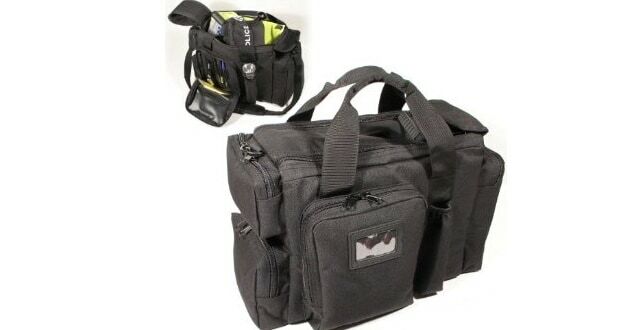 A great bag for storing all your patrol equipment in one safe and handy place. Plenty of storage for all your appointments. Check it out now. An amazing holdall designed for Police Forces and Police Officers to carry all their equipment in one effective storage location. The compact design is water resistant and made from 1200d material, which means it is tough and sturdy enough for any situation. The bag has two handle straps and one over the shoulder strap which had steel inserts. The actual main section of the bag has a large velcro divider which can open up and has linked dual zips giving easy access to the whole bag. The outside of the bag has four spacious zip pockets to store further items, each one having dual zips and lockable. It also has a maglite holder for you to hold a 3x D cell maglite. (See Below). Well that's what you get with the M24 PROTEC Police Bag, lots of space for all your appointments. Get everything into this durable, sturdy and professional looking holdall. Check it out now at this amazing price.